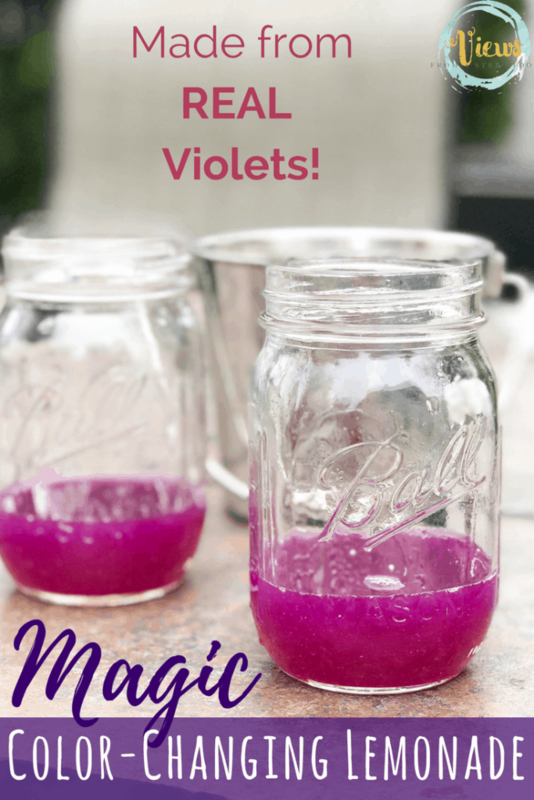 Turn Violet water made from freshly-picked flowers into Violet lemonade in this fun color-changing science experiment for kids. It’s tasty too! 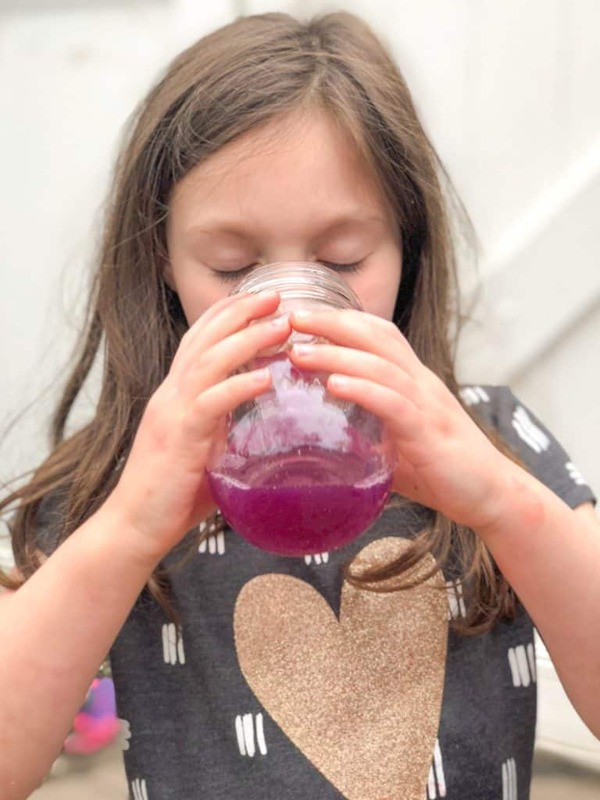 We love nature activities, and we love science and experimentation, so this color-changing Violet lemonade has been one of our favorites yet! We can’t go for a walk or to a little league game without picking and hoarding more Violets for lemonade. 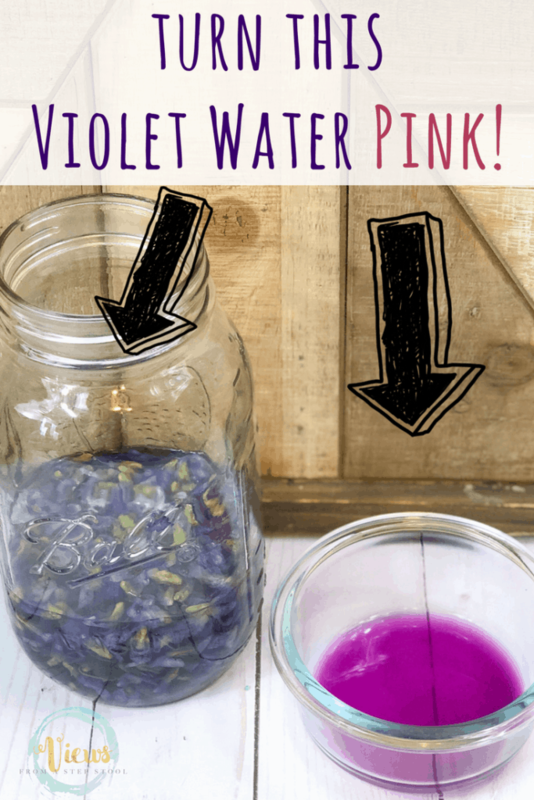 For older kids, you could set this up as a STEM Challenge – what can you add to make violet water pink? 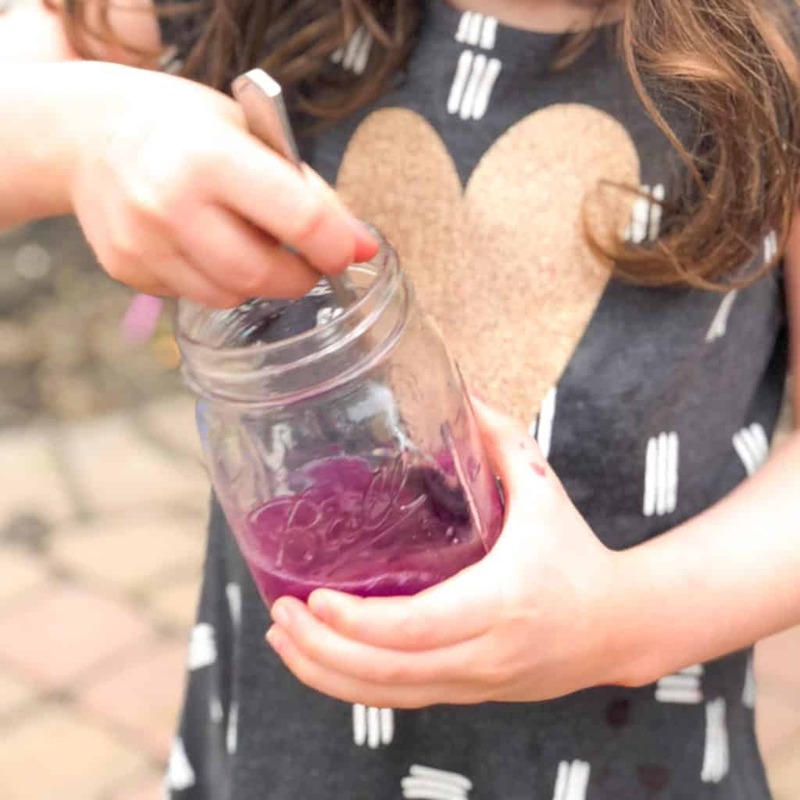 Did you know that Violet water turns bright pink when you add lemon juice?! This is such a fun chemical reaction for kids to see. Adding the acid (lemon juice) to the base (Violet water) will cause this reaction, and it will not disappoint! 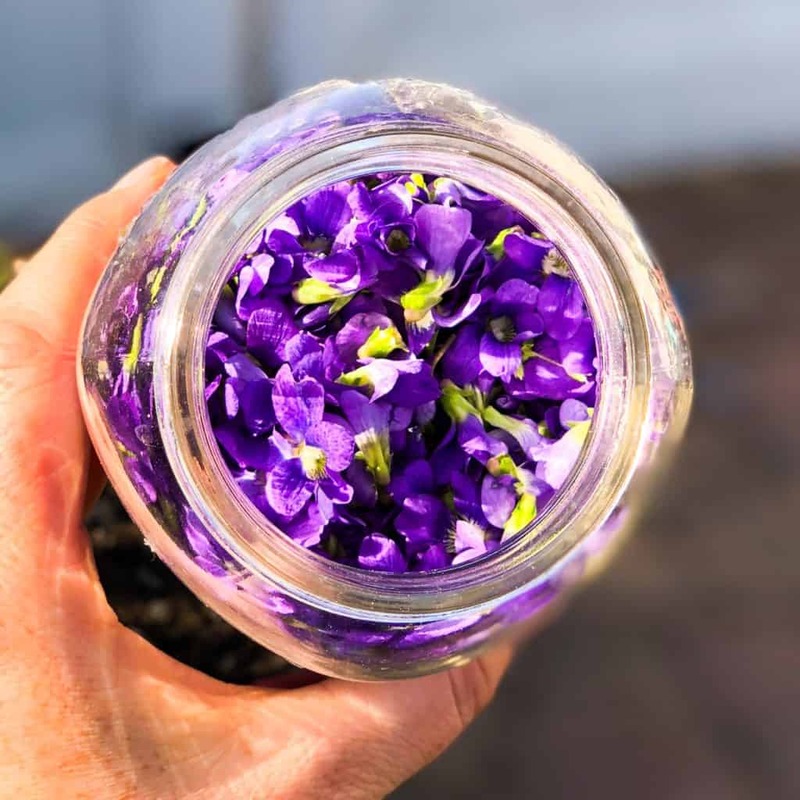 Pick a generous amount of Violets (at least 2 cups or so) and place in a mason jar. Boil water and pour over the Violets until covered. Mash the flowers into the water and let sit for 24 hours. After 24 hours, the water in the jar should be a dark blue. Strain the water to remove the flowers and set aside. To the Violet water add some honey or simple syrup and stir. Now it’s time to make lemonade! 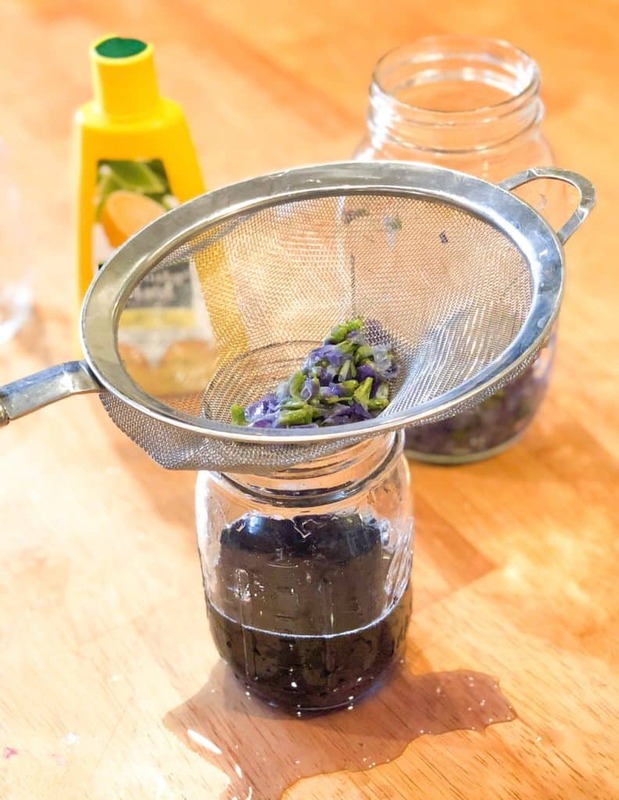 Add lemon juice to the sweet Violet water and watch the magic happen. This is SO much fun to watch, and kids just love the ‘magic’ of it all. Plus, Violets contain antioxidants and vitamins, so drink up! 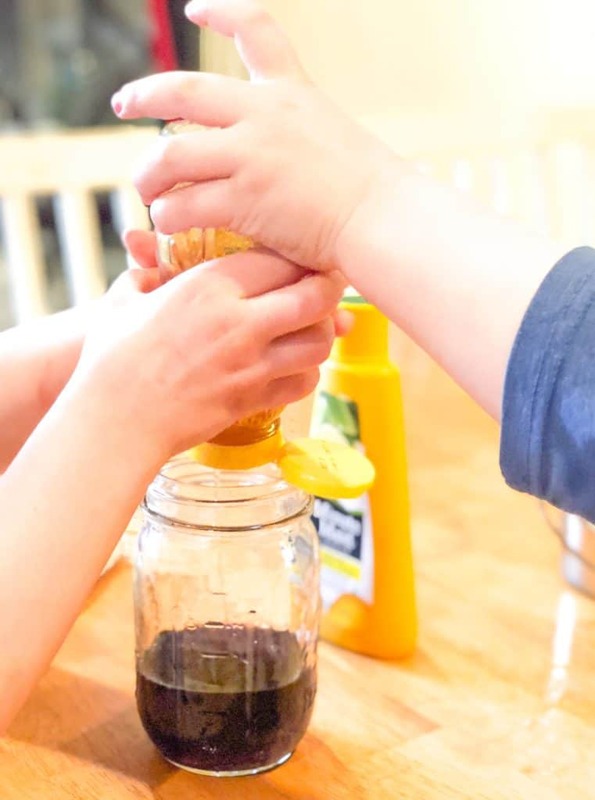 Enjoy this refreshing Spring treat that gets kids experiencing nature, and engaging in science in your kitchen! 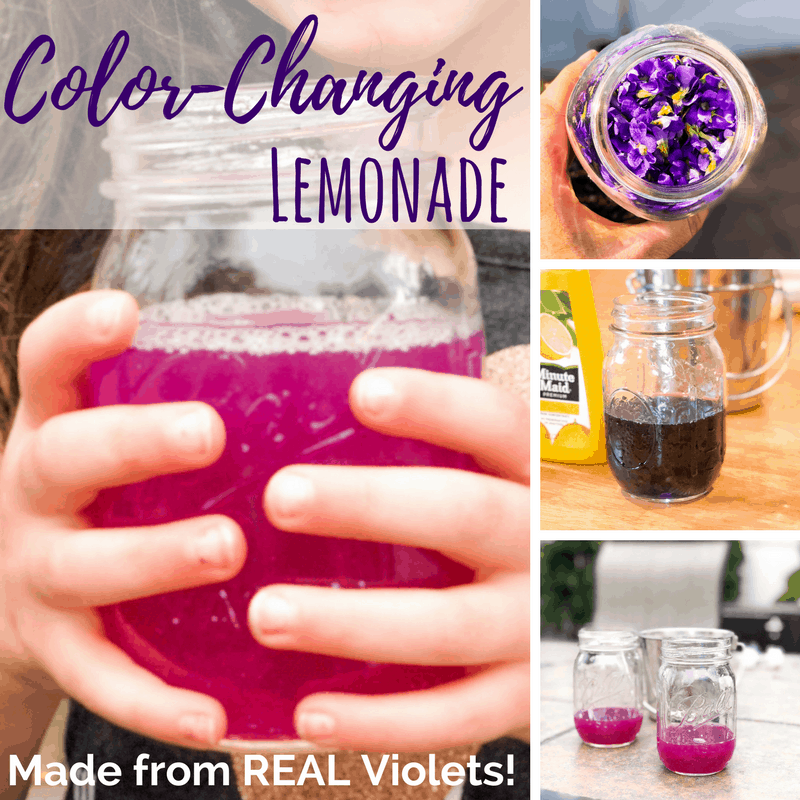 Turn Violet water made from freshly-picked flowers into Violet lemonade in this fun color-changing science experiment for kids. It's tasty too! Steep the violets in the boiling water for 24 hours. 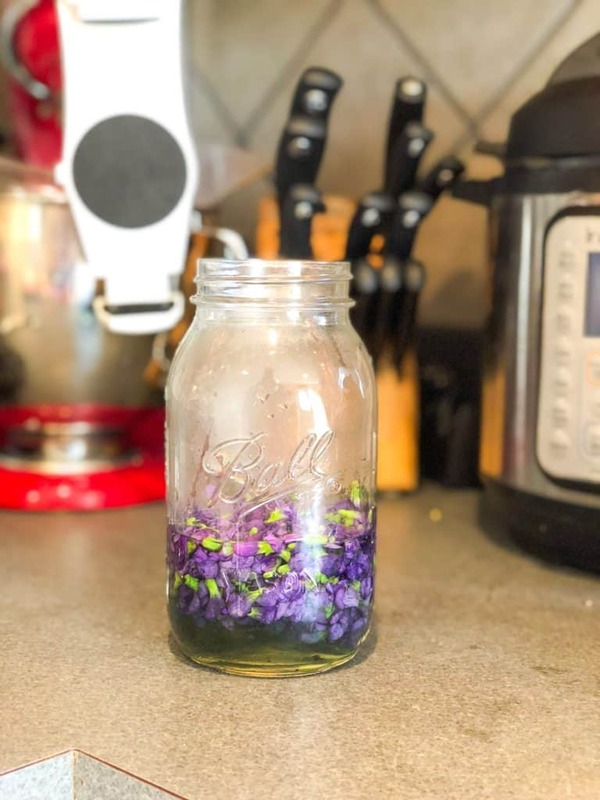 Strain the violet water into a mason jar. Optional: Add a splash of seltzer and serve over ice for a refreshing violet spritzer! 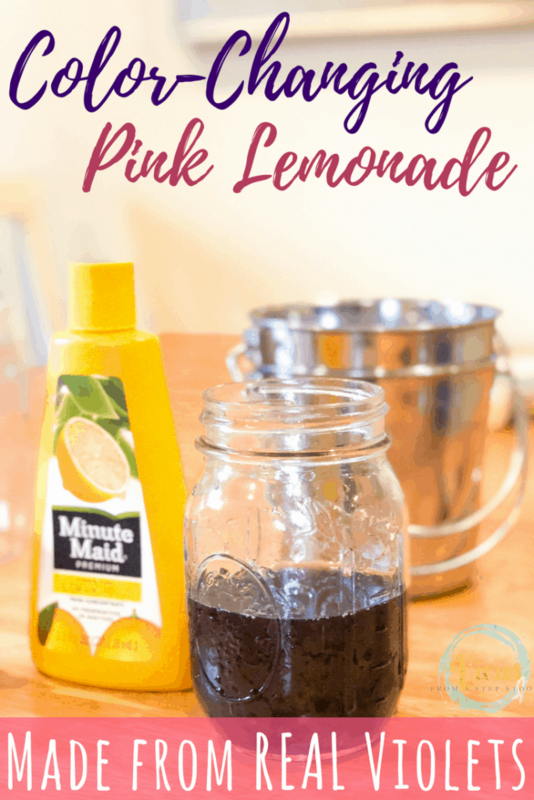 Pin this violet lemonade to make!